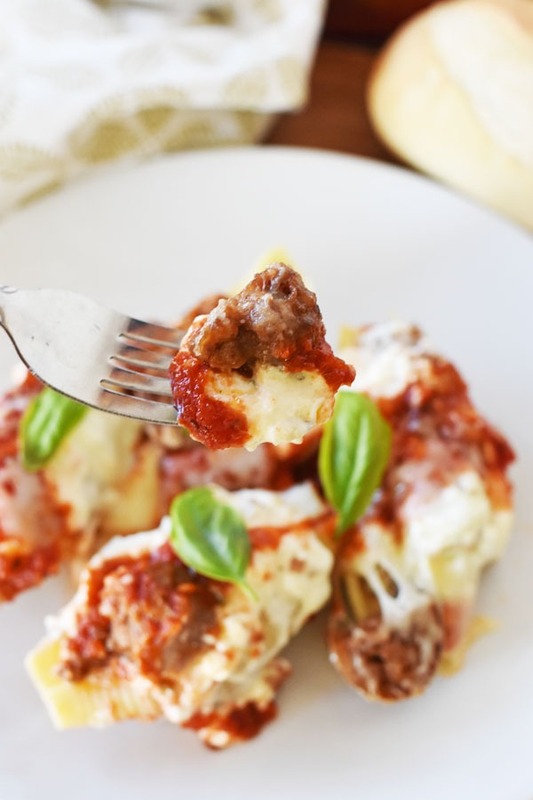 The tastiest stuffed shells made with sausage. This recipe is easy, and will become your favorite cold-weather comfort meal! With the cooler fall weather already in high gear here in New England, making meals that warm the belly and soul is my specialty. When things tend to cool down outdoors, I tend to heat up the indoors with my stove. Making delicious comfort meals like this 30 Minute Sausage Stuffed Shells dinner is my specialty and one that my family can appreciate! On a trip to Stop & Shop, I did my regular grocery shop which included Barilla Jumbo Shells, Galbani Mozzarella Cheese, and Johnsonville Mild Italian Sausage. 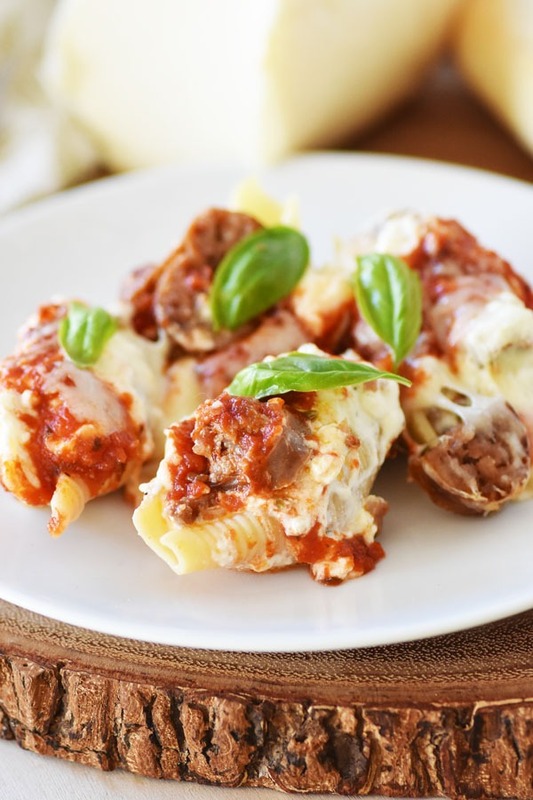 These three ingredients are the staples needed to make 30 Minute Sausage Stuffed Shells. Paired with some additional cheeses, and herbs and you have yourself and rich, and tasty dinner that the whole family will love. My kids could eat pasta and cheese everyday so when I make dishes that feature this pantry staple they get super excited! I paired our meal with some fresh ciabatta bread and a light salad to get those veggies in. An easy to make, flavorful fall meal. 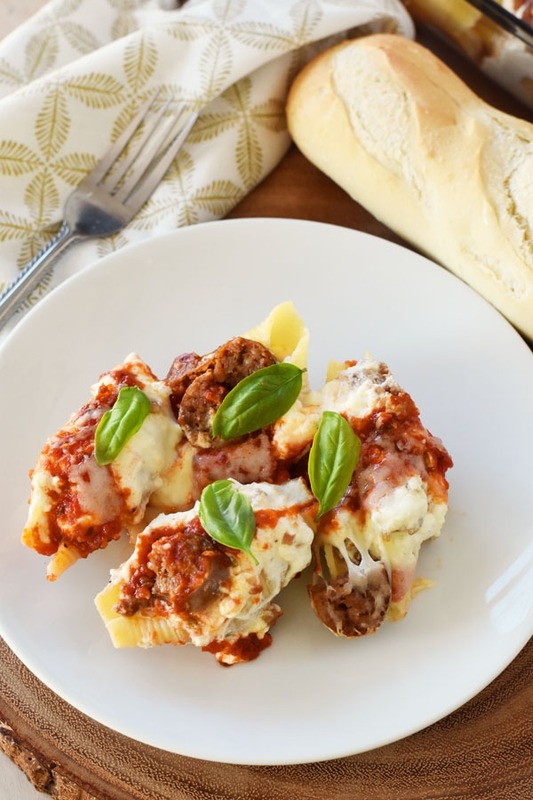 Made with Italian sausage, herbs, and 3 cheese these shells are rich in flavor. Once the sausage are cooked throughout, let them rest for 1-2 mins and then slice them into small chunks. Add them to the cheese mixture. Fill each shell with the sausage cheese mixture and line them in a baking dish. Once done, cover in sauce and shred approx. one cup of the mozzarella over the shells. Bake for 10-12 minutes and 350 and then serve with some bread and salad-enjoy! 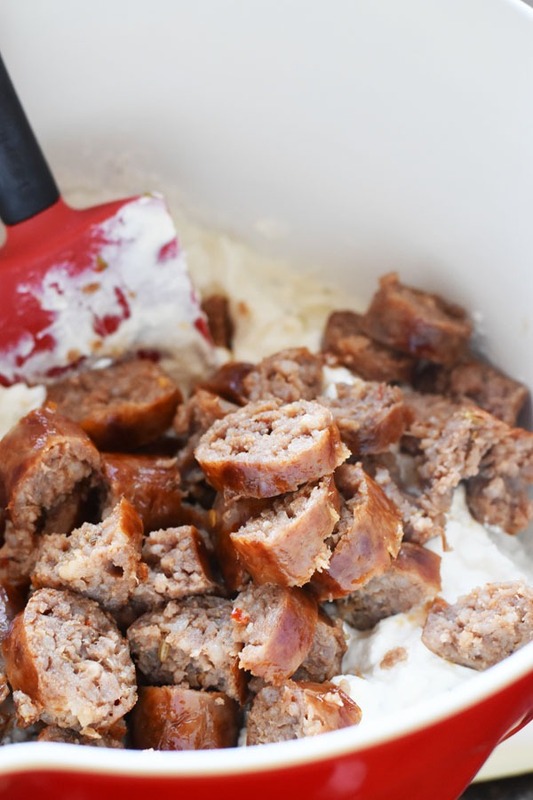 The sausage is so juicy and adds the perfect balance of flavor with the milder cheeses. 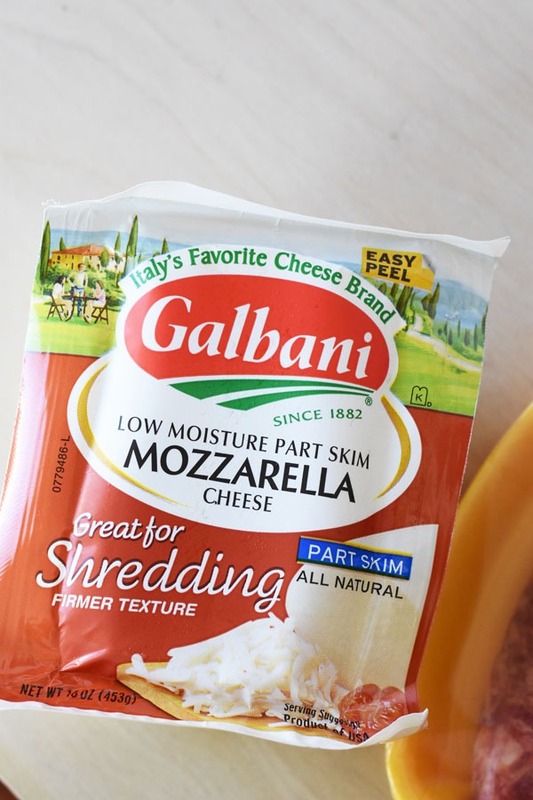 Overall, I prefer to grate my own fresh block of soft mozzarella because it provides a creamier cheese topping. 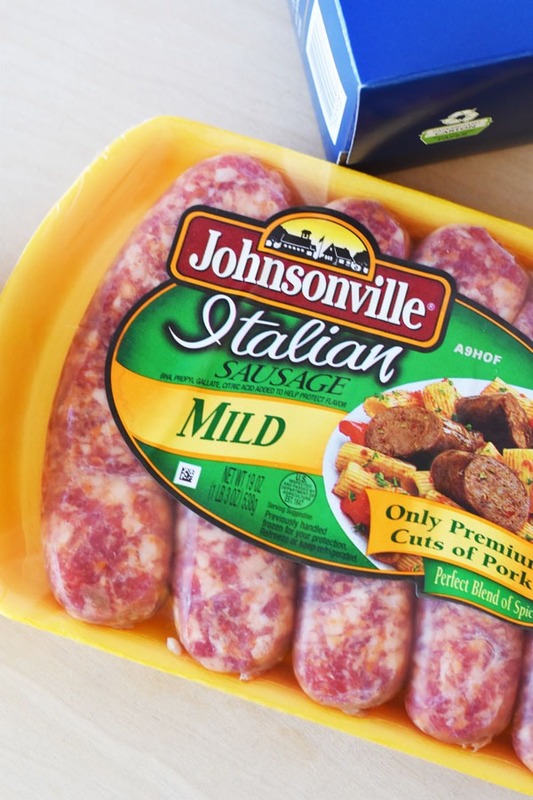 I love that it melts perfectly, and really complements the equally flavorful Johnsonville Mild Italian Sausage links. Stuffed in the perfect-sized Jumbo Shells and you have a great meal that would also be ideal for a potluck dinner! What are some of your favorite meals for the colder weather? I’ve never attempted stuffed shells because I always thought they were super hard to make. I’m so making this recipe! I would love to try this recipe. It sounds (and looks) really tasty. It’s my kind of food, too. 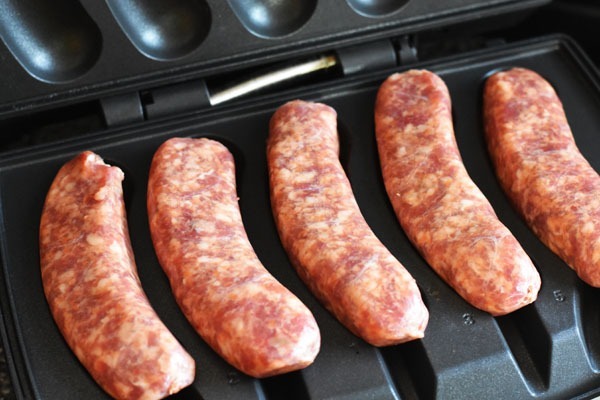 Johnsonville makes great sausage. I never stuffed pasta shells with it before. I love how you added cheese to this. I love the cheese addition too. I always tell my girls that mama is part mouse! Can’t wait to try these, going to cook them tonight!! 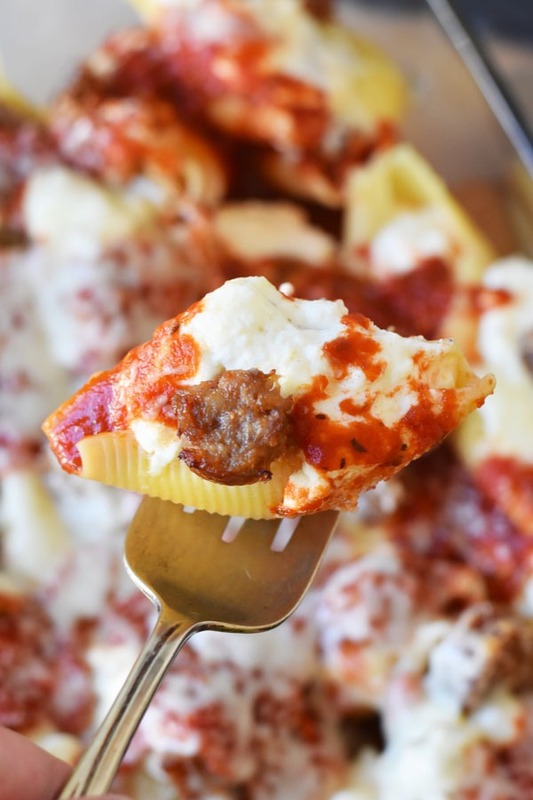 Stuffed shells are one of my all time favorite things to eat…. I never thought of switching it up. These look and sound delicious! Yummy! My kids love pasta, I am sure they would think this was pretty awesome! This looks like the perfect Fall comfort food. I love that it’s so quick to make too! This is a great family dinner. This looks so DELISH! I am going to follow this recipe and just substitute tempeh sausage for real sausage and will let you know how it goes! Nom nom! I am always looking for delicious and fast meals to prepare. 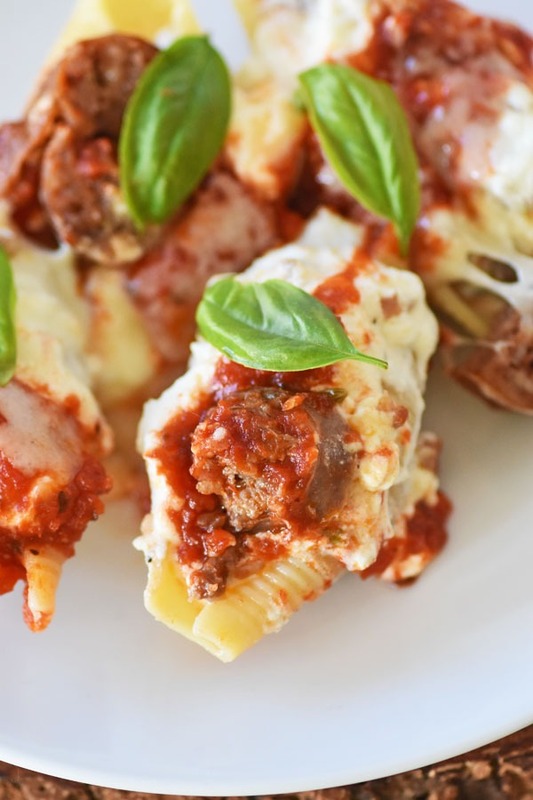 These sausage stuffed shells look so delicious and easy to make. 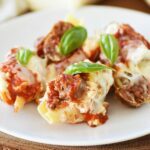 30 Minute Sausage Stuffed Shells looks like a great dinner option for busy nights. I am excited to get the ingredients I need to make this on the weekend. I am excited to try these 30 Minute Sausage Stuffed Shell. My kids are going to love them.